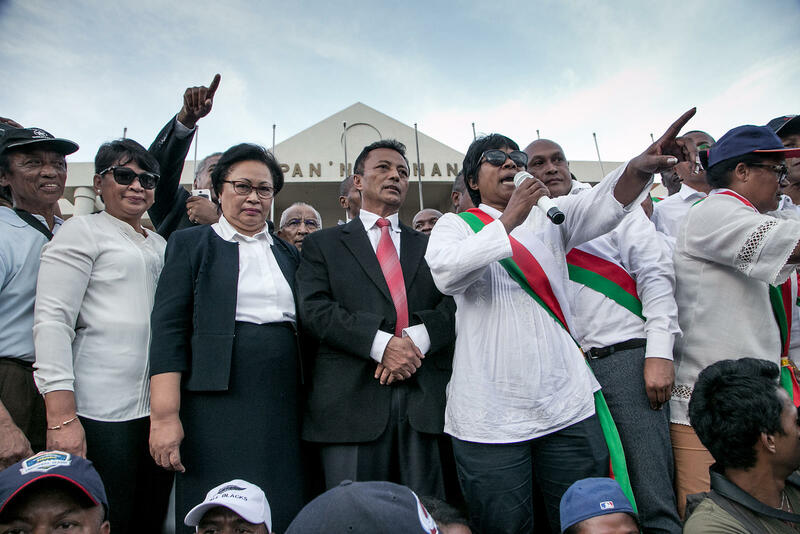 RIJASOLO | Marc Ravalomanana, former President of Madagascar (2002-2009) speaks to the crowd and offers his condolences to the families of the victims of the April 21 demonstrations. Several thousand people and opposition deputies gathered in the centre of Antananarivo on 23 April 2018, in the square of 13 May, without the police intervening, to offer their condolences to the families of the victims of the events of 21 April which caused the death of two persons. 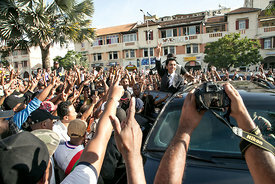 Marc Ravalomanana, former President of Madagascar (2002-2009) speaks to the crowd and offers his condolences to the families of the victims of the April 21 demonstrations. 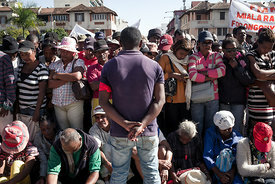 Several thousand people and opposition deputies gathered in the centre of Antananarivo on 23 April 2018, in the square of 13 May, without the police intervening, to offer their condolences to the families of the victims of the events of 21 April which caused the death of two persons.